Medical Care on the Euromaidan: Who have saved the lives of the protesters? Little changes have been introduced in the health care system of Ukraine since the collapse of the Soviet Union. As a response to health care needs of protesters which could not be satisfied via state health care services, a number of organizations and groups of volunteers serve injured and sick protesters on the Euromaidan. 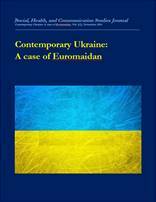 This paper explores the organization and provision of medical care during the period of the Euromaidan: the role of organizations and groups of individuals who provided medical care on the Euromaidan, issues related to financing of medical care and related to ensuring safety in transportation, and treatment of injured protesters. In brief, medical care and relevant Euromaidan organizations can be grouped into three clusters: (a) actors of Ukrainian health care system which had functioned actively before, during and after the Euromaidan events (e.g. emergency medical care; private and state health care facilities); (b) individual volunteers and incident organizations which emerged during the Euromaidan (e.g. Medical Service of the Euromaidan—Medychna Sluzhba, Euromaidan SOS, Safety and Medical Aid); and (c) organizations which had existed before but for the time of the Euromaidan their roles and functions shifted (e.g. churches, monasteries, Red Cross). By and large, enthusiasm of those who supported the Euromaidan and especially of volunteers contributed to a great extent to the number of saved lives; given this situation, the principles of the state health care system should be reconsidered. In the case of disasters when civil society cannot be mobilized rapidly, state medical care does not seem to prevent and minimize losses. Meanwhile, we can only infer how many lives could be saved if medical care of the whole Euromaidan, including state medical care and international support, has been coordinated properly with a focus on efficiency and political neutrality. The experience of medical care provision on the Euromaidan is invaluable regarding the organization of disaster management. Dr. Tetiana Stepurko is a Head of Health Care Management Master Programme and an Assistant Professor at the School of Public Health, National University of ‘Kyiv-Mohyla Academy’; Ukraine. She has a PhD from the double Doctoral Programme launched by Health Services Research Department at Maastricht University, the Netherlands and School of Public Health/Doctoral School at National University of ‘Kyiv-Mohyla Academy’. Vitalina Vitiuk is a Graduate Master student of School of Public Health, National University of ‘Kyiv-Mohyla Academy’; Ukraine. Anna Kvit has a BA in Sociology, National University of Kyiv-Mohyla Academy; MA in Global Political Economy, Kassel University; Coordinator of sociological and marketing research, AgriSurvey. Pavlo Kovtonyuk is a Senior Lecturer in Health Care Governance and Management at School of Public Health, National University of ‘Kyiv-Mohyla Academy’; Ukraine.